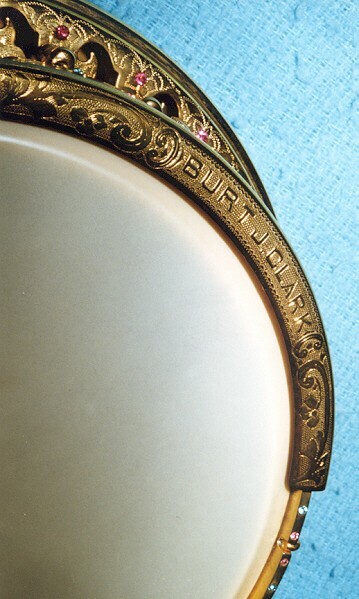 All collectors are familiar with Bacon & Day banjos, but few people know that the financial backer, major shareholder, and Chairman of the Board of this company was Burt J. Clark. 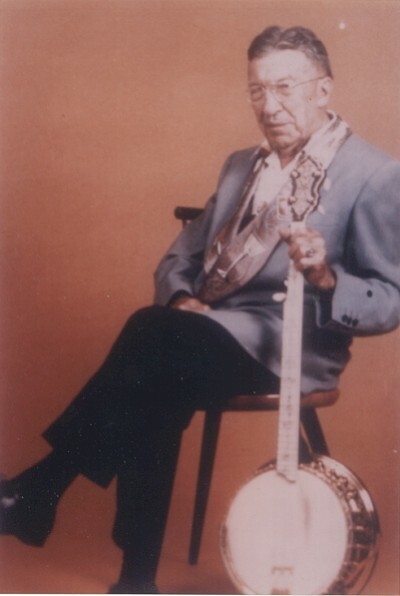 Both Mr. Clark and Fred Bacon were 5 string players, and the instrument pictured here is his personal, and custom made banjo. 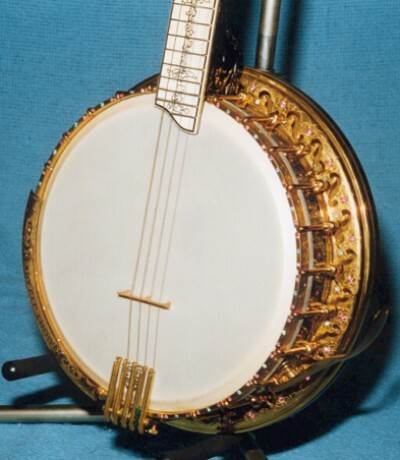 I do not play five string myself, but the artistic beauty, as well as it's historic significance, made me want to acquire this banjo for my collection. 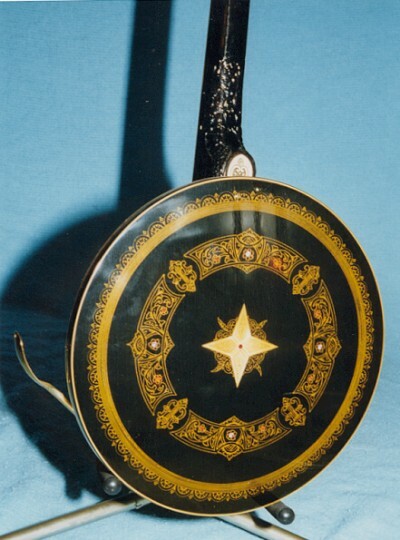 This instrument was specially made for Mr. Clark around 1929 and has a S/N of 28488. The wood used is African ebony. The metal parts are heavily engraved with unique patterns not seen on any other Bacon model. 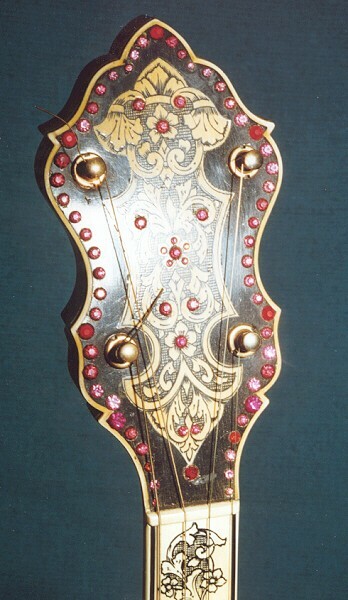 The fingerboard is ivory and is engraved with the "tree of life" pattern typically found on the B & D # 9 model. 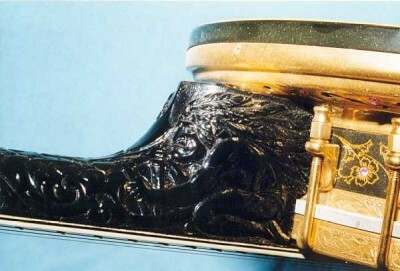 Both sides of the heel of the neck feature carvings of a crouching Indian in full headdress. 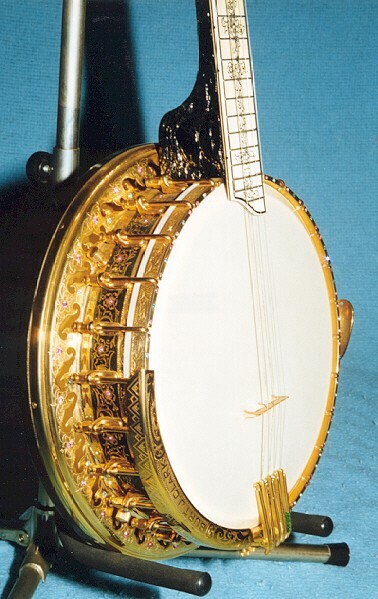 Given its unique ornamentation, this banjo should be carrying a # 8 designation, but for some reason, the factory stamp on the dowel stick is "# 6 SPECIAL".